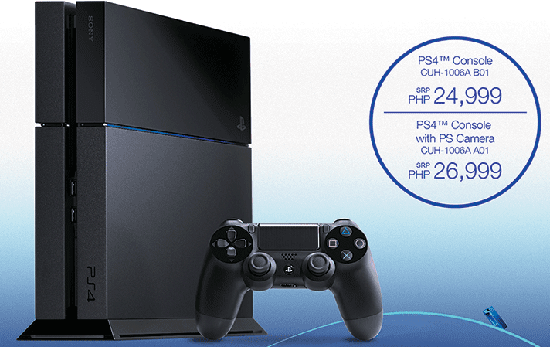 Sony Philippines announced that the PlayStation 4 will be officially available here in the Philippines and they accepted for pre-order and may redeem on January 14, 2014. 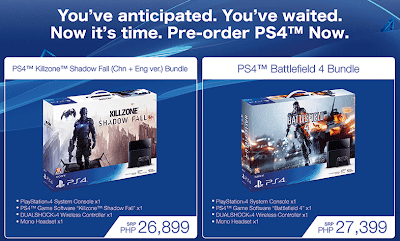 Customer may avail a pre-order promo packages from December 15, 2013 to January 10, 2014 and start claiming on January 14, 2014 at selected Sony Centers and Sony Designated Shops. Who order the items within the promo period will enjoy a special 1-year warranty extended and select 2 premium items like: Portable Screen Cleaner, Playstaion Strap and Car Sunshield from Sony Philippines.